Glow Sticks and LED Light Sticks are the perfect safety and emergency lights. Just bend it and shake and you've got instant light, a must have in any emergency situation, black out or power outages due to storms, earthquakes, floods or hurricanes. Glow sticks are non-sparking and non-heat producing, which means they are safe to use anywhere, in any environment– around flammable materials or even during a gas leak. Glow sticks are also completely waterproof – you can use them underwater! 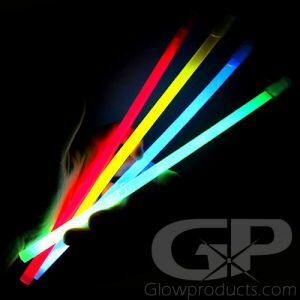 Be sure to check out our full Catalog of Glow Sticks for even more emergency glow stick and safety light stick ideas. 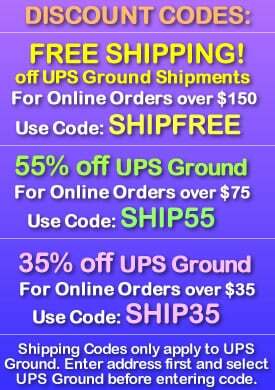 Also be sure to visit our full Catalog of Flameless LED Candles for more battery powered LED candles ideas. Don't Get Caught in the Dark! 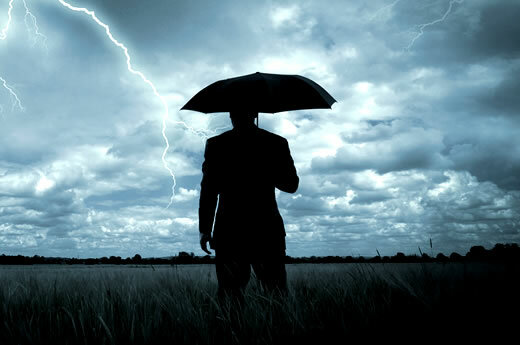 During an emergency situation such as a power outage, hurricane, earthquake or flood, the last thing you need is to be caught in the dark without light! But don't worry – GlowProducts.com has your back. With our full range of Emergency Glow Sticks, high quality LED Light Sticks, flameless LED candles, clip – on safety lights, glow badges and remote controlled disc lights we'll help you weather any storm, blizzard, earthquake, flood or power outage that comes your way. What's the best type of emergency lighting product to use during a Gas Leak? 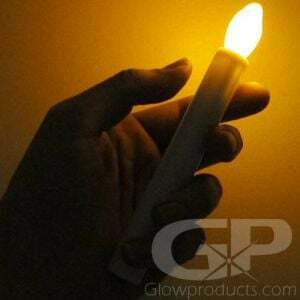 The best emergency light that you can use during a Gas Leak is a glow stick. 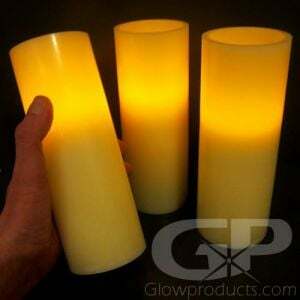 6” chemlight glow sticks don't use batteries with LED lights, open flame or any kind of electricity to light up. Because of this, there is no heat produced by a safety glow stick and no chance of a spark being created – which is the last thing you want during a gas leak! So if there is a gas leak situation and you need some light – reach for safe, non-heat producing, non-sparking 6 inch emergency glow sticks. How long will a glow stick glow for? That's an important question during an emergency situation or power outage. The first thing to ask yourself is what size of glow stick do I have? The glow reaction taking place inside the glow stick that is generating the light will glow for a longer time if you have a bigger glow stick. So if you have a mini glow stick that is only 1 and ½ inches long, then you can expect 2 to 4 hours of light. If you have a glow stick that is 2 to 3 inches long, you can expect 4 to 6 hours of light. A 4 inch glow stick will glow 5 to 8 hours. 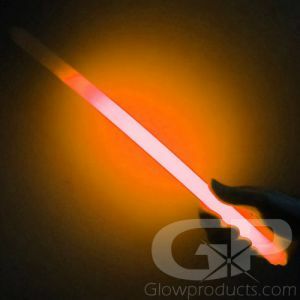 A Standard 6” glow stick will glow around 8 hours and our Premium 6 inch glow stick will glow for 12 hours, which is a military grade chem light 6 inch glow stick. 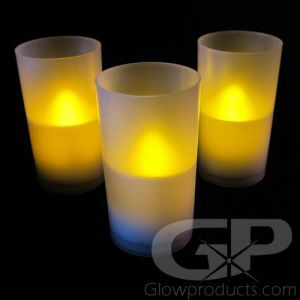 GlowProducts.com also carries 10 inch glow sticks, 12 inch glow sticks and 15 inch glow sticks which will all glow for 12 hours as well. 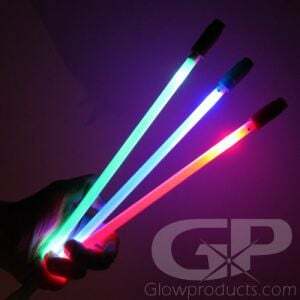 There are also 6 inch glow sticks that will glow very brightly for 5 minutes. These are known as 6 inch Ultra Intensity 5 Minute Glow Sticks. 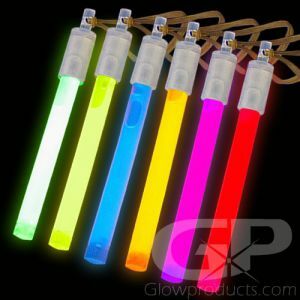 We also carry 1.5 inch, 2 inch and 6 inch Glow Sticks that use a special powder formulation that will glow for 24 hours. Both glow stick size and then the type of glow stick that you have will determine the duration of a glow stick's glow time. The other factor involved in how long will a glow stick last is temperature. The glow reaction inside the glow stick that is producing the light is an exothermic reaction – so temperature will affect this reaction. Heat, or higher temperatures (temperatures above 79 degrees Fahrenheit or 26 degrees Celsius) will make the glow stick glow more brightly, but it will decrease the amount of time the glow stick will last. Cold, or lower temperatures (temperatures below 41 degrees Fahrenheit or 5 degrees Celsius) will make the glow stick glow less bright, but will increase the length of time the glow stick will glow for. And at temperatures of 18 degrees Fahrenheit or -8 degrees the glow stick will start to freeze up and not glow at all. But that's OK, because we have 7” Battery Operated LED Glow Sticks that use lithium AG13 button cell batteries and you can use those at temperatures of -13 degrees Fahrenheit or -25 degrees Celsius. What is the best safety light sticks to use during low temperatures? Or a Blizzard? 7 inch Battery Operated LED Light Sticks are the very best safety light stick to use during low temperatures. Because they use lithium batteries to power their LED light instead of alkaline batteries the 7” LED Light Sticks can be operated at temperatures as low as -13 degrees Fahrenheit or -25 degrees Celsius. How long will a Battery Operated LED Light Stick glow for? Our 7 inch Battery Operated LED Light Sticks will glow for approximately 20 hours of continuous use. But if you turn it on and off with normal use, you should get appxomately 30 to 36 hours of life from the Battery Operated Glow Stick before having to change the batteries. Our 9 inch LED Baton Light Sticks with Handle will light up for approximately 12 hours of continuous use on the steady light setting and 18 hours if the flashing setting is used, which will prolong the life of the battery. Again, if turned on and off with normal use, this will also extend the battery life. Our 14” LED Light Up Marker Stakes will light up for approximately 8 hours of continuous use on the steady light setting and approximately 12 hours on the flashing setting. How can I light up my pet in an emergency situation? In any emergency situation the last thing you want to have happen is to have a loved one go missing. At GlowProducts.com we know your pet is another member of your family and you need to keep all of your family members safe. Our LED Safety Clip Lights are the perfect way to light up your pet. Just push the button on the back of the light to turn it on, quickly clip it to you pet's collar and you'll be able to see exactly where Sparky or Mr. Mittens is at. What is the best safety light stick to direct traffic or people? During any emergency situation or natural disaster you may be called upon to direct traffic or even people. To do this you need to be seen and 15 inch glow sticks make excellent traffic wands do their large size they are extremely visible. 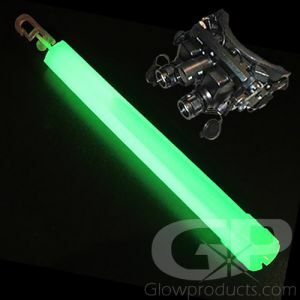 If you're looking for something more re-usable and convenient, GlowProducts.com's battery operated 9 inch LED Glow Batons with Handle are also an excellent choice for traffic control. 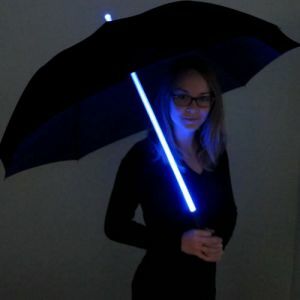 These big LED Light Sticks have a comfortable handle grip and your hand won't cover any of the lighted area of the wand, If you're in an emergency situation and you need a quick solution to a traffic or pedestrian control issue, the versatile 6” glow sticks or our 7” LED Light Sticks can be used in a pinch. Are there any glow sticks I can use to mark out parking spots or areas? If you are in an emergency or rescue situation at night and need to mark out designated parking spots there are several glow stick options available. 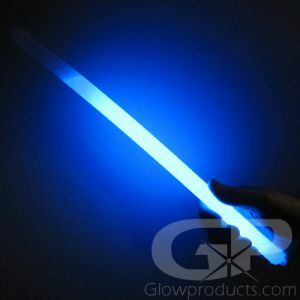 GlowProducts.com's 10 inch Glow Stick with Ground Stake is a great way to quickly mark out parking areas. And because they're water-proof you won't have to worry about rain or standing water. Our battery operated 14” LED Night Marker Stakes are also a great option, and are re-usable. And our 4” Glow Sticks with Stand can also be used as quick area markers. What can I use to light up paths and hazards at night? An important aspect of any survival, rescue or emergency situation is the ability to mark out hazards around you. Just as important is the ability to mark out areas of safety or paths through hazardous areas or to important locations such as tent shelters or washroom facilities. The 14” LED Marker Stake is a great ground marker stake that is easy to use – with just the push of a button you suddenly have a light up area marker on your hands! 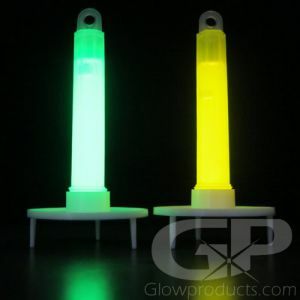 Our big 10” Glow Stick with Ground Stake is a large bright 10” chemlight glow stick that is fantastic for hazardous areas, especially if there is concern of gas leak and because glow sticks are 100% waterproof, you don't have to worry about them getting wet in a storm or flood situation. 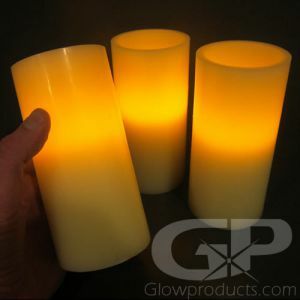 GlowProducts.com's economical 4” Glow Stick with Stand is also a great option for trail and pathway marking. And if you need a quick solution, our Premium Duralume Brand 6” 12 hour Glow Sticks can be used as quick area markers and their useful clip hook can be used to hang the glow sticks onto rope, tree branches, chain, line, fencing, wire etc. Our Glow Badges with adhesive backing are great in urban environments as you can quickly stick them to walls or windows. 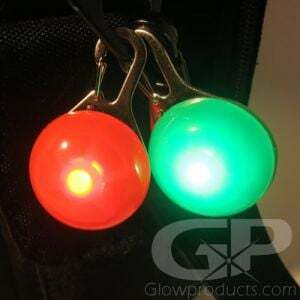 And our LED Safety Clip Lights are a small, light weight and practical way to quickly mark just about anything and the versatile 7” LED Light Sticks come with a lanyard that you can use to hang it or tie it to whatever you need to mark. I need to store some Glow Sticks in my Emergency Kit. What is the shelf life of a glow stick? Our Premium 12 hour 6 inch glow sticks have an expiry date stamped onto their foil wrapper of 5 years. As long as the glow stick is kept inside its foil wrapper, it will be good for 5 years. 15” long glow sticks if kept inside the foil wrapper will also have a shelf life of 5 years. 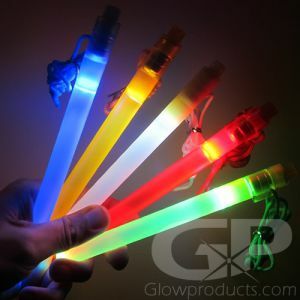 So if you keep your Emergency Kit in a dry, room temperature room in your house or place of work, your emergency glow sticks should last 5 years before having to replace them. Please keep in mind that smaller glow sticks, like 1.5” mini glow sticks, 2” glow sticks, 3” glow sticks and 4” glow sticks will have a shelf life of 1 to 3 years, while larger glow sticks will have a shelf life of up to 5 years. Please also note that the color Green seems to have the longest shelf life of all the glow stick colors. What are the best glow sticks to use during a flood, hurricane, tsunami or storm-surge? If you are in an area that is prone to flooding or live in a hurricane zone, we strongly recommend that you have several Premium 6” Glow Sticks in your house, car and office. The reason is because all of our high quality Duralume Brand glowsticks are completely water-proof and are widely used for diving safety and emergency, night time fishing and for swimming and pool use. 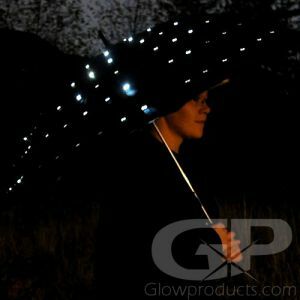 So if you need a reliable light source that can get wet and stay wet, Glow Sticks are your answer! What is the best safety glow stick color to use during an Emergency situation? When it comes to glow sticks, color does matter. Green is generally the brightest color, followed by Yellow and Orange. Then Aqua, Blue, White, Pink and Red. 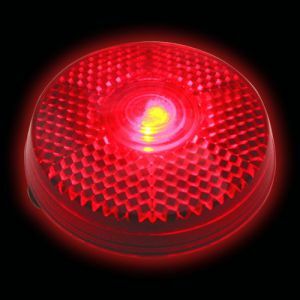 But Red can be a good color to use to mark hazards as red is the universal color that indicates “stop” or “danger”. Green is a great color, not only because it is the brightest, but can also mean “go” or “safe”. Green also generally has the longest shelf life of all of the glow stick colors. Another very good color option is Yellow or Orange. These are still very bright colors, but the light that these glow sticks give off is slightly easier to read by. Have a plan, purchase a few simple necessities and some lightweight portable lighting and we'll all make it through this together. Remember though, that just because you have bought that fancy emergency kit, it may not contain everything you will need, and may even have a few things that are unnecessary or that you don't even want, making it too heavy to be portable or practical. The other thing about that fancy new emergency kit that you just bought and put in the back of your closet thinking you're ready for anything – do you even know what is inside that kit? Or how to use all of the items? We've found that by creating your own emergency kit, you will know what is exactly inside it and how to use the items. And you can tailor it to fit exactly your family's particular needs, since every family is different! Especially if you have a family member that requires medication, has allergies or specific dietary needs or have an exotic pet. These are all things that must be taken into consideration when putting together your emergency kit. And then after you've put it in the closet in your back room or on the shelf in your garage, remember to check it once a year! Change your bottled water, and check the expiry dates on the food and any medication you have in your kit, check to make sure that the batteries are still working and remember to check the expiry date on your glow sticks too! The ultimate signalling glow stick, the Ultra Intensity 5 Minute Glow Stick is specially formulated to glow very, very brightly for 5 minutes. This glow stick is a must have for signaling rescuers, fellow survivors or to let people know that you're there or to let them know that you see them. 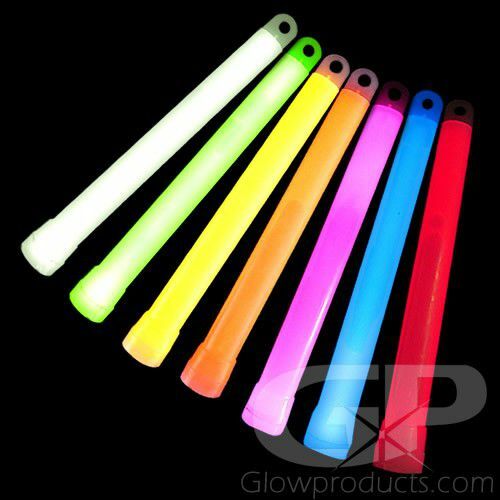 Extremely bright and much safer than flares, Ultra Intensity 6” glow sticks are non-heat producing and unlike flares, can be used in any situation or area, and our big 15” Ultra High Intensity 5 Minute Glow Stick can instantly light up a whole area. An alarming situation is the increase of fire occurrence in homes in during power outages and black-outs. 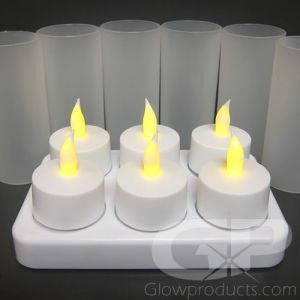 Candles are great for lighting rooms during a black out, but do bring an inherent danger with them; open fire and flame. It's just too easy to accidentally knock a candle over, especially when it is placed somewhere you don't normally place them - which is often the case during a power outage. And if you live in a hurricane or earthquake zone, sometimes the power will not be re-stored for several days. And during those hours, accidents can happen. 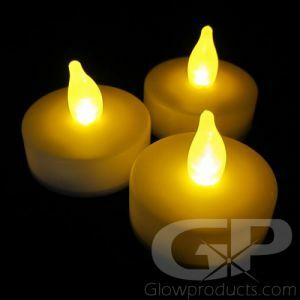 Be prepared and safe with Flameless LED Candles! Flameless candles offer the look and feel of real candles without having to worry about knocking them over or leaving them unattended. 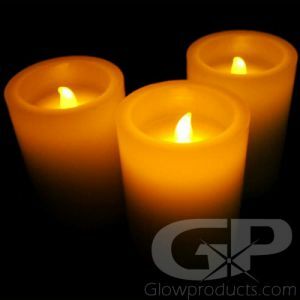 We carry 4 Inch Flameless Candles, 6 Inch Flameless Candles and 8 Inch Flameless Candles. 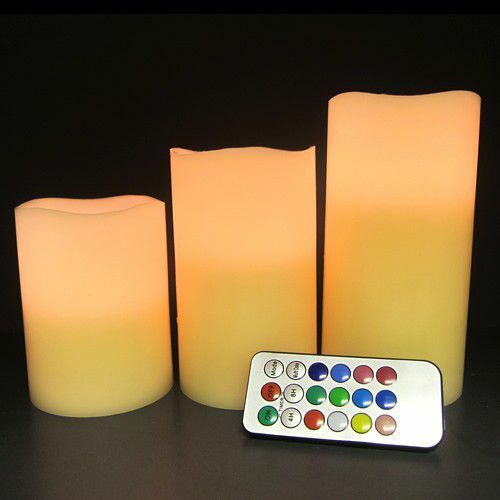 We also have a 3 piece LED Candle Set which includes one of each size and a remote – so you can control both color and they even have a timer that you can use to save on the batteries. Another interesting lighting option is our LED Decor Disc Lights. Our Waterproof Decor Light with Remote has 9 extremely bright LED Lights, comes with a remote so you can control both color and brightness level and can be used anywhere. And our Large Decor Light Base with Remote has 23 LED Lights, comes with a remote so you can control both colour and brightness and even comes with a USB recharging cable, and is bright enough to light up entire rooms! So remember to keep your family safe with LED battery powered candles and portable décor lights this storm season! A question we are often asked is, which is better in an emergency situation? Glow Sticks or Battery Operated LED Light Sticks? The answer – it depends on the situation. 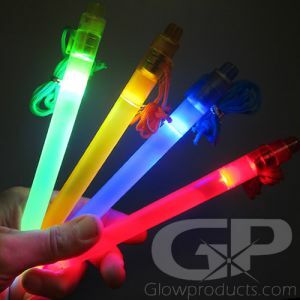 Battery Operated LED Light Wands are a great re-usable alternative to glow sticks. Because they are battery operated, you can change the batteries and use them again and again. The other great thing about Battery Operated Glow Sticks - you can turn them on and off. Unlike normal glow sticks where once they are activated they stay activated until they “burn out”, Battery Operated LED Light Sticks can be turned on and off at will. And because they use LED Light technology, LED glow sticks are brighter and usually longer lasting than traditional chemiluminescent glow sticks. LED Light Sticks are also much more reliable in cold temperatures than normal glow sticks. The colder the temperature, the less effective a glow stick is going to be. Whereas a battery operated LED Light stick using lithium batteries will operate in temperatures as low as -13 degrees Fahrenheit or -25 degrees Celsius. The 7” LED Light Stick does cost a little more than a 6” glow stick, but with all these incredible features, we feel it is well worth it. There really is no replacement for the incredible 6 Inch Emergency Glow Stick. It's simple to activate. Just crack, shake and you have instant light. When you are in an emergency situation and you need a reliable, consistent, durable source of light, then the Premium 12 hour 6 inch Glow Stick is what you need. It's completely water-proof. In an emergency situation there's a few things you need to worry about – your own personal safety. Your family's safety. Your Home. And then there's things that you shouldn't worry about. For example, the last thing you need to worry about is “Will this source of light go out because it's raining or it's gotten wet?” And with emergency glow sticks you do not have to worry about that. At all. Another issue in an emergency situation can be is there a gas leak? Am I in a situation where flammable liquids have been spilled? Again, no need to worry about volatile gases, liquids or materials as emergency glow sticks are completely spark-free and non-heat producing sources of light. 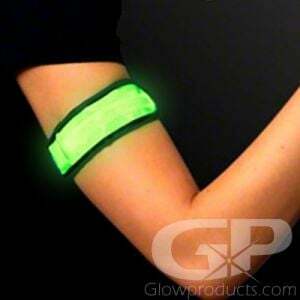 And GlowProducts.com is proud to carry the very best Duralume brand glow sticks. So you can depend on cracking that glow stick and it lighting up. Why worry about batteries or if you have extra batteries available or if you have the right size, or fumbling around trying to find them and then trying to replace them. With an emergency glow stick just crack, shake and you have instant light. Now go out there and save the day.